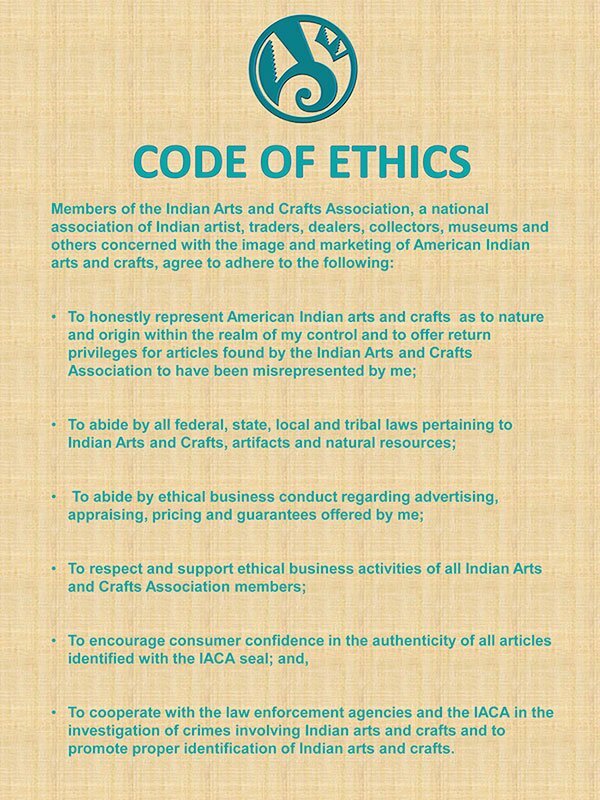 "At the close of the 2018 Membership Year, the Indian Arts and Crafts Association will cease to exist. Over the years, IACA was a powerful voice in terms of protecting and preserving authentic American Indian Art including testifying before the U.S. Congress on matters of American Indian Art. The association provided the largest wholesale markets for its artist, wholesale and retail members. 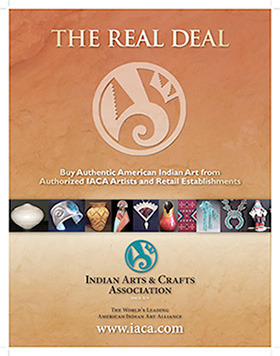 The association provided seminars and educational materials for its members and created new markets for hundreds of American Indian artists. 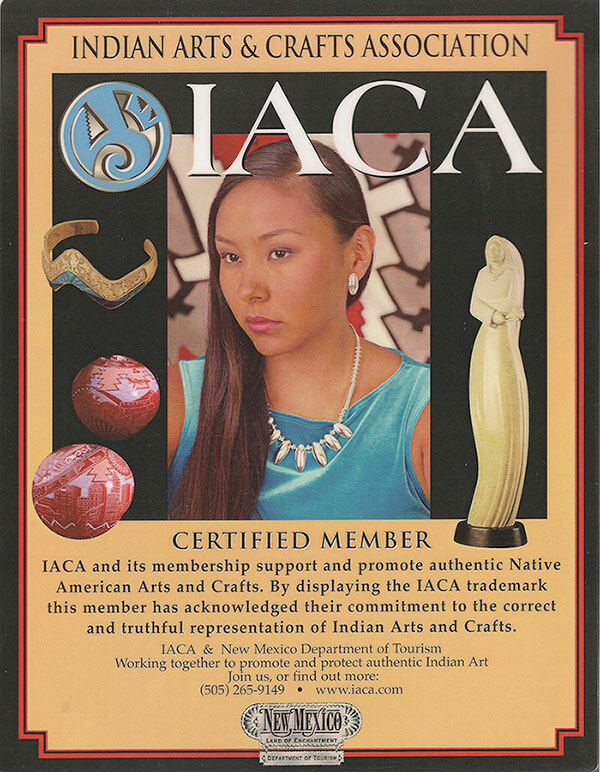 For 35 years, the IACA recognized a single artist as the IACA Artist of the Year, one of the most admired and respected honors an American Indian artist could receive. The IACA seal became the hallmark of integrity for all that were fortunate enough to earn the famed seal. Membership has been loyal throughout the years, with the average having been an association member for over 23 years." to "Promote, Preserve and Protect" Authentic American Indian Art."